The funny thing is, he's probably serious. Lucas Arts used to be a much bigger name. They also used to have a much larger fan base thanks to the releases of their above average and often hilarious advenure games. Well, it looks like this year will see the return to the heyday of Lucas Arts with the re-release of “The Secret of Monkey Island” on Xbox Live and PC. Amid the announcements of brand spankin’ new games like Metal Gear Solid and God of War 3, this announcement could have gone by without much attention. Had it not been of course for the aforementioned fanbase. According to sources (i.e. Lucas Arts website), “The Secret of Monkey Island: Special Edition” features new HD graphics, voiceover work, and a re-mastered musical score. Fans of the original need not fret however, because the original artwork will be availiable, and the story has not changed in the least. In fact, the developers have made it possible to switch back and forth between old and new graphics at any time. That’s not all though, because Telltale games will be releasing a brand new adventure titled “The Tales of Monkey Island” featuring the same brand of humor and storytelling. It will be episodic much like Telltale’s other games “Sam & Max” and “Wallace & Gromit”. 5 Episodes will be released each month, with the first season premiering July 7th, 2009 on PC and WiiWare. 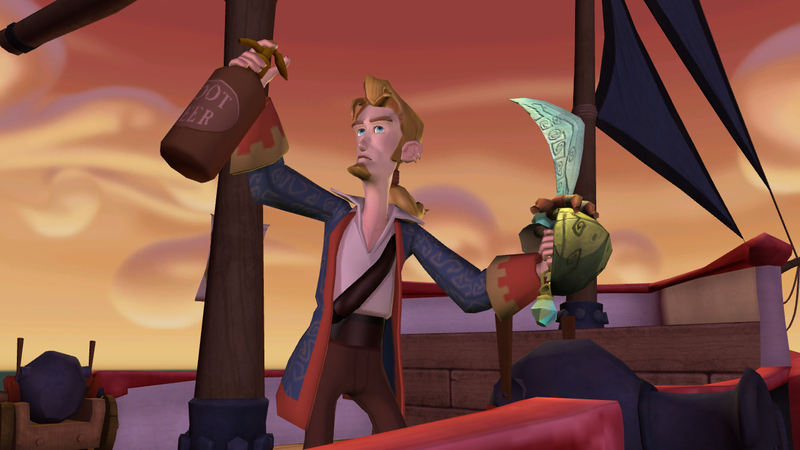 As for “The Secret of Monkey Island: Special Edition”, it’s currently unknown when we’ll be seeing it, but hang in there, because it’s on track for a summer of ’09 release. Perhaps we’ll see a re-release of the “Maniac Mansion” games soon? Only time will tell, but there’s nothing wrong with hoping. GamerZines publishes a regular, free magazine for PC gamers, called PCGZine: click here to download the latest issue for free.